Thinking of buying a new construction townhome? Curious what the premium is to live in one neighborhood versus another? Waiting for a project to complete and wondering what they’ll price at? Curious how these numbers have changed over time? We last pulled these numbers back in 2016. 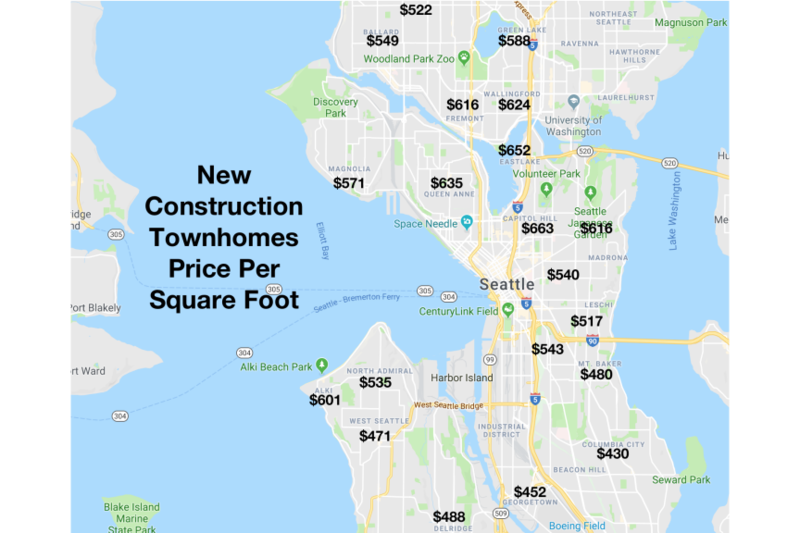 Methodology: we looked at all homes built in 2017 and 2018, but sold in 2018, that were on lots less than 2,250 square feet. Disclaimer: Statistics not compiled or published by the Northwest Multiple Listing Service.